Welcome to the quickest sport in the world. If you have never seriously looked into this sport, you probably call it by the name, “Ping pong”. 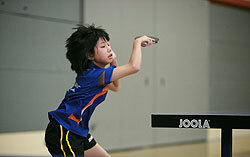 Congratulations, for visiting this site and taking more interest in, as most within the sport call it, “Table Tennis”. Table Tennis has one of the largest populations of participants internationally in comparison to other sports. Throughout the world, millions play this sport, helping them stay healthy as well as have fun. It is one of the most rare sports where anyone can play, young or old. Table Tennis is truly a life sport. If you are looking for information on the sport, you came to the right place. Here, you can find out information like simple rules, how Table Tennis can help you stay in shape , where to find places to play , information about equipment , and other useful information that will help you understand this sport better.